Dollar-for-Dollar wraps are the most cost effective form of advertising Ever Known, this may be a bit over the top but you get the point. From 1 to 100; we have the expertise, experience and capacity to get your job done. Compare our Car Decals and Graphic designs with our competitors. 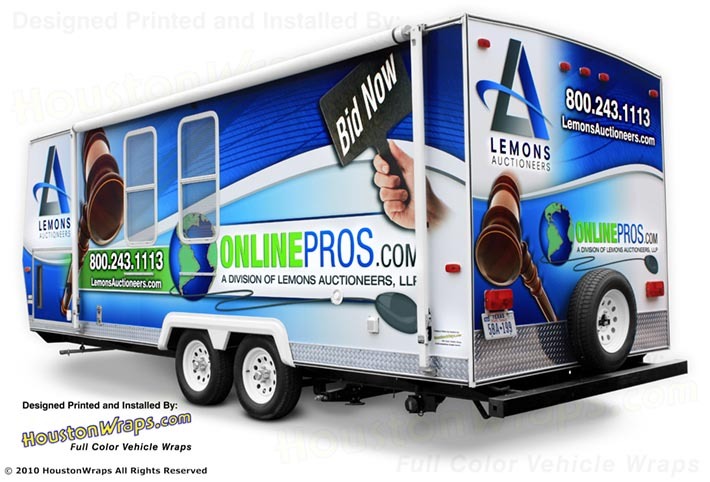 Most other Car Decals or vehicle wraps are ineffective… they are like TV commercials where you cannot remember who the company was or what they were selling. 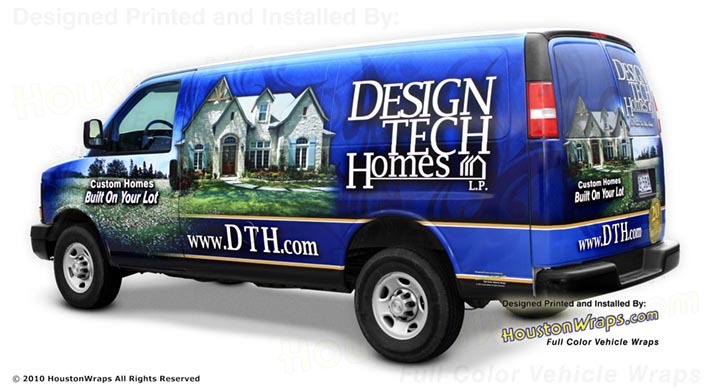 Most vinyl vehicle wraps look more like they belong in an art car parade and have little to no marketing value. We have been in the outdoor advertising business for over 25 years. 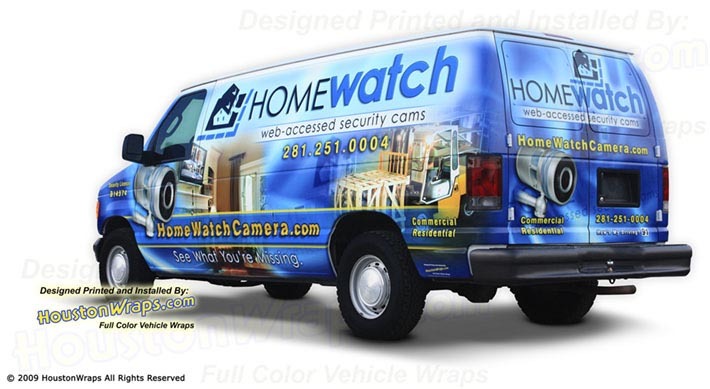 We’ve been doing vehicle wrap advertising since the beginning… over 15 years. See some of our Clients! Is the type of ink you use important? I want a wrap but I don’t know what! How much input should I give? Is removing the wrap difficult? Can I pressure wash my wrap? Does the vehicle color matter? Q: Why should I use HoustonWraps.com? Are all critical components of a wrap, if you lack any of these critical links your chain will break. Q: How important is Design? A: This is the 1st of the Critical components and arguably the most important. If you do not have a good design you are loosing business and debasing your companies’ image value. Q: Is the type of ink you use important? This gives the longest durability (fade resistance). Don’t let anyone tell you differently. A: Design time usually takes between 4 & 14 days, depending on complexity and changes. After approval of the layout, the wrap is usually Installed within 7 days. We usually need your Vehicle in our shop for 3 to 5 days..
Q: I want a wrap but I don’t know what to put on it! 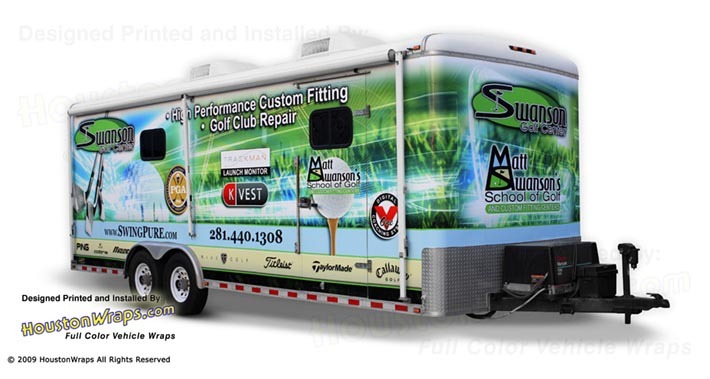 A: Our Wrap Experienced Designers will create for you a Professional – Attention Getting – Effective design. Most of our customers use our designs in their other forms of advertising (signs, web site, brochures, etc.). Q: How much input should I give you in the design process? A: We have been in the outdoor advertising business for over 25 years and we have over 75 years combined design experience (Let us do what were good at). But you are the boss, we are here to help you achive the company image you want. Q: How long will the wrap last? A: With proper care your wrap will last (and still look good) for 5-7 years. Q: Can the wrap be removed later? A: Yes, the 3M® material/laminate that we use does no damage and actually protects the original factory paint job, “freezing-the-paint in time”. Q: Is removing the wrap difficult? A: Not with the proper tools and know how that comes from removing them. Most of our wrap removals are completed in 1 day, leaving behind your frozen-in-time factory paint job. Q: Can I pressure wash my wrap? A: No, improper use of a pressure washer or even some car washes can damage your wrap, it is just not worth the risk. So you should hand wash with pride. Q: Does the vehicle color matter? A: Not on full wrap. In fact, many of our customers save time & moneywhen purchasing their vehicles because they don’t have to worry about matching colors. Their fleets still come out looking the same.